Did you ever see the movie, Willy Wonka & The Chocolate Factory? It was released in 1970 and starred Gene Wilder as Willy Wonka. If you haven't, stop reading and go watch it, then come back. I'll wait. Ok, now that you have seen it, there's a scene I want to point out. It's when the kids are taking a tour of the chocolate factory and they go into a hallway with "lickable wallpaper". As Willy himself says, "The strawberries taste like strawberries! The snozzberries taste like snozzberries!" That's when Veruca Salt interrupts him and says, "Snozzberries?! Whoever heard of a snozzberry?" At this, Wonka squeezes her cheeks, looks her in the eye, and says, "We are the music makers. And we are the dreamers of dreams..." then lets her go and they continue on their way. Anyway, like I said, weird. But, it also made me think about entrepreneurs. In reality, that is all we are really doing. We are creating music and we are dreaming dreams. We are painters and our canvas is our business. We create, we innovate, we build, and we grow things. We make the world go 'round. As a college student my wife and I would go grocery shopping once a week together, usually very late at night when it was less crowded. The store was open 24 hours so we'd go in at 11pm or midnight. 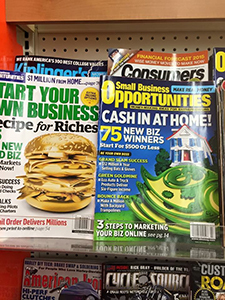 Typically, I would wander away from her and go down the magazine aisle to read all the money-making magazines like Entrepreneur, Small Business Opportunities, and Home-Based Business. I would read all the ads and get excited about selling carpet cleaning services or glow-in-the-dark star patterns for kids' bedrooms. I eagerly thumbed through those pages as I dreamed and schemed on how to make my millions. My wants and desires have evolved over the years, but I've never stopped dreaming. The music is made and the dreams come true then through our ability to get things done. This is where the real magic happens. If you find yourself at a standstill or you have plateaued a bit, then I would encourage you to stop thinking so much and start doing. That's how you are going to make your music. Are You Ready to Make Your Own Music? The little-known secret to getting your paid advertising for FREE...this is completely legal and changes EVERYTHING! 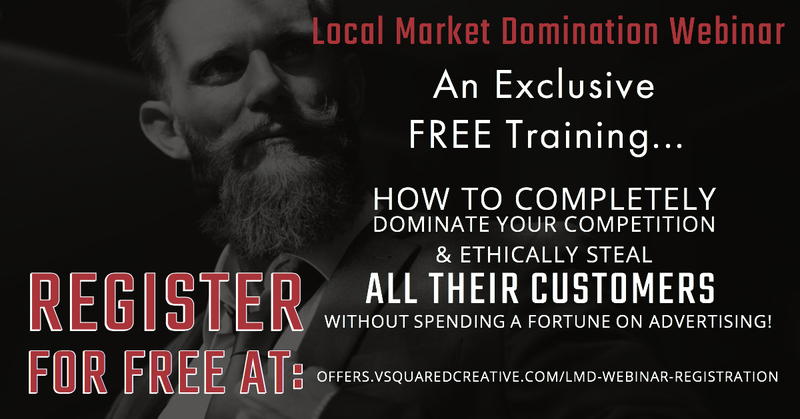 How to use a strategy that we call "Back Door Traffic" to ethically redirect traffic going to your competitors' site and get them to come to yours instead! How to follow up with people who engage with your social media or web content, even if you don't have any contact info for them!